Things are trucking along nicely at Chez Harris. I’ve almost wrapped up the first draft of the next Serial Killer Z book and I have a steady release schedule for the next few months. 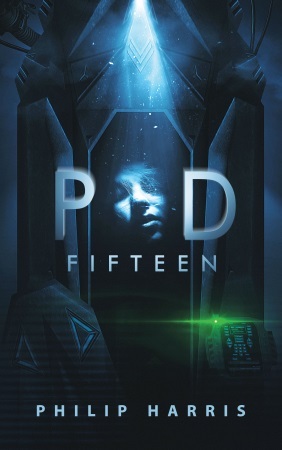 First up is the standalone publication of my science fiction horror story – Pod Fifteen. Ellis Osako is piloting the Redhawk across deep space with nothing but an AI and a cargo hold full of dead bodies for company. Haunted by his past, he spends his time trying to guess the identities of the dead around him. Until he finds the woman in pod fifteen, and Ellis is forced to face his demons and the fact that he may no longer be alone. Pod Fifteen first appeared in Tales of the Canyons of the Damned Issue 14 and it’s one of my favourite short stories I’ve written. I was going for a blend of Alien and the Japanese horror movie, The Ring, and I’m very happy with how it turned out. You can grab your copy for 99c from Amazon right now. The other retailers will be coming soon. Pod Fifteen is a great read. Harris creates a convincing setting aboard a creaky, out-moded spaceship delivering the dead to their beloved burial planet. The boredom is exquisite and the ship’s computer is a clearly-drawn character. The action that fills the latter part of the story is spooky as hell, but it also eerily brings back to life a long-felt bereavement and awakens an impossible hope. This story’s climax and resolution are chilling indeed. I’ll be reading more of Mr. Philip Harris. Thanks very much. I’m really glad you enjoyed the story so much.